If you like the idea of a short ski break in Italy (and who wouldn't?) then check flights to Milan Bergamo (Orio al Serio). The airport is a low cost flight hub from the UK, Ireland and all over mainland Europe and you can often find some great deals throughout the winter, perfect for a quick getaway. To avoid a lengthy transfer at the other end, here are some great ski resorts located within 1-2 hours' drive from Bergamo airport. Ideal for a short ski break, what these small ski areas lack in mileage they make up for in convenience, charm, and of course, price. Only 50 minutes’ transfer time from Milan Bergamo airport, Presolana and nearby Monte Pora offer 35km of slopes between them, making it ideal for a short ski break. During the week you can enjoy practically empty slopes, while things liven up at the weekend with lots of day trippers from Milan and Bergamo. Presolana offers easier, less technical slopes (4 blue, 5 red, 1 black) making it ideal for beginners and children while Monte Pora has a wider variety of sunny slopes for all levels (7 blue, 11 red, 1 black) and a snowpark. Our Presolana ski break includes 4* hotel accommodation with breakfast, airport transfers, lift pass and ski hire. You can stay on the slopes at Presolana, or 3km away in the village of Castione della Presolana, from where you can easily reach the slopes via free ski bus. Another small resort just 1 hour from Bergamo airport and a long standing favourite with our customers, Montecampione (1200m) sits above the picturesque Camonica valley that sweeps up from Lake Iseo towards Switzerland. The ski area covers 35km (4 blues, 12 reds, 4 blacks), reaching a height of 2000m and there is a small snowpark with mini bordercross slope. As an extra bonus the nearby town of Boario Terme is famous for its thermal waters where you can soak your aching muscles after a day on the slopes. We offer a great value flexible self-catering ski break in basic but functional slope side studio apartments including ski pass and hire and airport transfers as an optional extra - ideal for those looking for a bargin. One and a half hours' drive from Bergamo airport, this resort is one of the highest in the area with a top altitude of 2,100m. The modern lift system covers 40km of slopes (8 blue runs, 6 reds and 1 black) perfect for beginners and lower intermediates. Ideal for those who like to ski all day and crash out in the evenings, this resort offers little in the way of evening entertainment and there is no nearby town to explore, so you can instead enjoy the modern, comfortable hotel facilities, including spa. Find out more about our on piste Italian ski break in Maniva here. This little-known resort is around 1 hours' drive from Bergamo airport. With just under 20km of marked runs (4 blue, 2, red, 3 black) Spiazzi is small but perfectly formed, with some good beginner/lower intermediate slopes but also some more challenging runs to work up to. Another favourite with weekenders, the resort remains quiet during the week during low season. The beauty of this resort is that everything is conveniently located in the one place - so need for ski buses! As the resort is fairly low, the best time to visit is January-mid March. 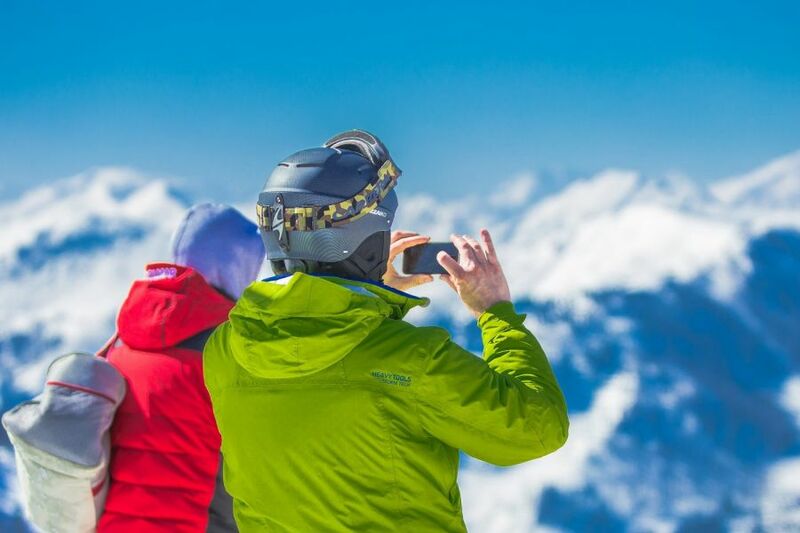 Have a look at our great value flexible ski break in Spiazzi. At 2 hours' drive from Bergamo airport, this resort is worth the trip. Its location on a mountain pass means that the ski area, on a north-facing mountainside, finishes directly behind the resort and consequently most hotels are more or less ski-in-ski-out or just a short walk away. The ski area offers 50 km of wide and for the most part fairly easy, slopes (9 blue, 8 red, 3 black) from 1160 to 2310 m. This makes it a great resort for beginners/lower intermediates and families, there are lots of good learner slopes and the resort does wonders for building confidence on the piste. Our flexible ski break in Aprica is ideal for families and lower intermediates. We offer flexible short breaks in all the above destinations which you can book online, so if you are looking for a weekend ski trip or a mid-week getaway then check flights to Milan Bergamo. If you can't find what you're looking for, contact us, we can help!